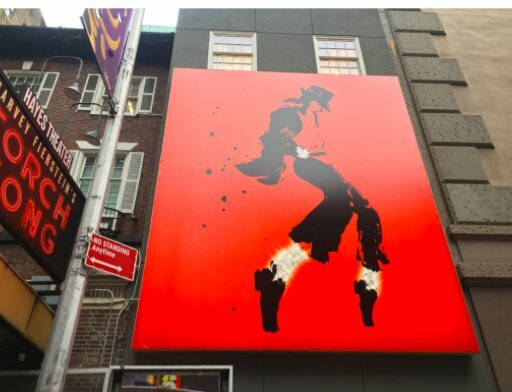 Vor wenigen Tagen wurde in New York ein riesiges MJ-Plakat enthüllt. Die Spekulationen, dass es sich dabei um ein Vorbote für ein Musical im Broadway Theaterviertel handelt, seien richtig, bestätigt das MJ Online Team. Morgen folge die offizielle Ankündigung. Die Geschichte wird von der zweimal mit einem Pulitzer Preis ausgezeichneten Lynn Nottage geschrieben und die Umsetzung von Tony Award®-Gewinner Christopher Wheeldon geleitet und choreographiert. Das Musical wird das Publikum hinter die Kulissen führen, als Michael Jackson im Jahr 1992 die „Dangerous“-Tour vorbereitete. „Don′t Stop ′Til You Get Enough“ soll den Zuschauern tiefe Einblicke in die kreativen Prozesse geben. Während Michael und sein Team die epische Setlist proben, werden wir in die entscheidenden, grossen Momente aus seiner Karriere versetzt. Mit über 25 Songs werde „Don′t Stop ′Til You Get Enough“ das einzigartige Talent einer kulturellen Ikone mit dem kraftvollen Geschichtenerzählen des zeitgenössischen Theaters verbinden. On January 18, this billboard went up in New York City. Members of the media have already started speculating that it relates to the Broadway musical that was announced last year though there has been no official statement or response to inquiries. The same artwork is also appearing on the homepage of three Broadway-related websites today starting at 9 am ET – but with no additional information other than a link to a website landing page with the artwork and the opportunity to sign up for updates related to the artwork and the project it represents. You, the fans, are the first ones the Estate is telling that the speculation is correct – it is the key art for the Broadway musical coming in 2020! Tomorrow, there will be an announcement formally revealing the art along with the title of the show, which is the title of one of Michael’s songs, and one other piece of information. Check http://www.michaeljackson.com or Michael’s social media pages tomorrow. Just as with the Louis Vuitton runway show last week, the Estate feels that these announcements from the Estate and its partners could not come at a better time to remind the public who Michael Jackson really is. While the Estate continues to join with the fans to fight the lies in the forthcoming documentary, it must also continue to keep growing Michael’s legacy. The Broadway show is yet another opportunity to reach new audiences and provide both them and Michael’s longtime fans with and an opportunity to experience his music in a unique and entertaining way. Michael’s legacy is eternal, and no one can diminish it with lies, allegations or falsehoods as long as we don’t give the power to do so. Let’s redirect the messaging back to where it should be and focus on the music that Michael gifted the world, and focus on the art. The Estate and its partners can’t wait for you to see what they are creating.